Financial advisors are so uncomfortable speaking about life insurance that more than half, 56 percent, simply don’t do it, according to a recent survey by Saybrus Partners Inc.
Further, almost one-fifth (18%) said they were “uncomfortable” or “very uncomfortable” recommending life insurance policies to their clients. Just a third (34%) of the financial advisors surveyed said they were “very comfortable” recommending life insurance to their clients. It’s the sales process that advisors find most objectionable. Other factors include the complexity of life insurance products and the weeks-long sales cycle, all before the application is then put on the underwriters’ desk for evaluation, assessment and rating. “Finding new ways of distributing the product are critical and financial advisors are one logical place to go to, because those folks already have clients who are in the throes of the planning process,” Kimbrough said. To improve the relationships between financial advisors and insurers, he says the insurers need to simplify the process and better use technology, using electronic forms for example, to speed and simplify the sales, application and underwriting processes. Consumers with life insurance don’t fare much better. Fewer than half than half (47%) of the advisors said they perform an annual review of their clients’ existing life insurance policies. Just 20 percent review their clients’ policies during major life changes, like marriage or the birth of a child, and the review is typically focused on whether the policy is adequate for the client’s current needs. One-in-ten admitted they only discuss existing policies if the clients ask. Changing market conditions can have a strong effect on the performance of variable life insurance products, he adds, and fixed products can suffer in a low interest-rate environment, such as the one we are currently experiencing in the United States, which could lead to an unintentional policy lapse. “Other issues include the possibility of missing out on more affordable rates and newly available features like long term care riders,” Kimbrough said. 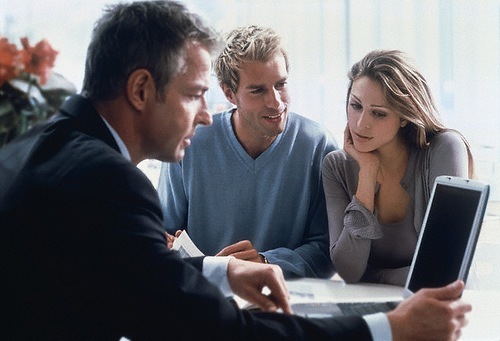 To become more comfortable discussing life insurance, 42 percent of financial advisors said they would be interested in either working with a life insurance specialist to identify client solutions or attending a seminar – aimed specifically at financial advisors – on life insurance. The survey of 103 financial advisors was conducted in early May at the 2012 Financial Advisor Retirement Symposium and the results were consistent with a survey of 2,410 adults, 786 of whom said they currently have a financial advisor and half of whom had never discussed life insurance with their advisor. That survey was conducted online in July 2011 by Harris Interactive on behalf of Saybrus. Previous story Who Increased The Debt?